The rambam sephardi VISION is To be part of a Jewish contemporary world where each of us is welcomed and feels like we are all related. it is To celebrate and share our Sephardi traditions To see our children develop pride in their Roots and joy in their culture and from there, engage with the world. 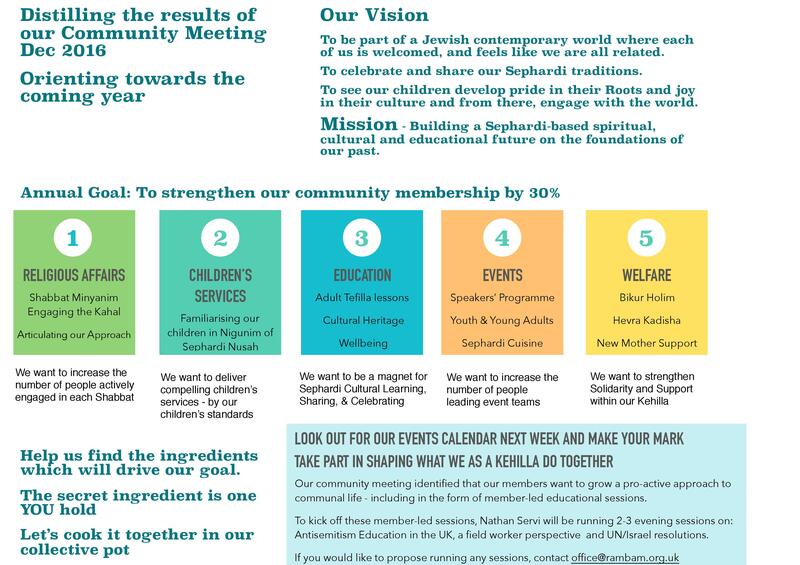 Building a spiritual, cultural and educational Sephardi future on the foundations of our past.